Lee Harvey Oswald and his actions have dominated much of the public discussion about the JFK case, but has this constant focus on him taken away the greater view of events in the JFK assassination? C.A.A. Savastano and your host Mike Swanson discuss this and other related historical subjects. 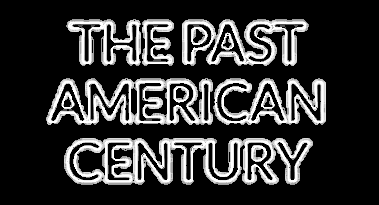 The Past American Century podcast is back! Historian Mike Swanson and researcher Carmine Savastano discuss the Warren Commission and its famous Single Bullet Theory. The official idea is compared to some contending evidence, diverging official expert testimony, and the assumptions required to believe it definitely proves its claims. Is mind control possible? The Ochelli Effect features a discussion of claims and evidence regarding the possibilities and limitations of mental influencing. These claims regarding such techniques and their possible use in multiple historical assassinations is reviewed. Join your host Mike Swanson and his guest C.A.A. Savastano as they discuss allegations related to US Generals Charles Willoughby and Edwin Walker. Their discussion reviews evolving stories and seek to distinguish what connections to President Kennedy’s assassination rely on substantial evidence and some improbable official assumptions. The first season of a nearly two-year sixteen-episode journey assessing the assassination of President John F. Kennedy ends in this episode of the Ochelli Effect's JFK 101 series. Author Larry Hancock, researcher C.A.A. 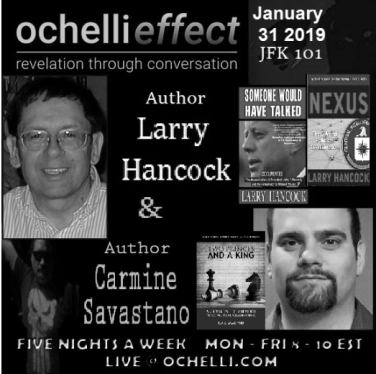 Savastano, and your host Chuck Ochelli return to offer developments in the case and ideas about the next season of JFK 101. Join historian Mike Swanson and author Carmine Savastano to discuss new research and evidence that establishes significant problems with the claims associated with Richard Case Nagell and the assassination of President John F. Kennedy. Presenting The Ochelli Effect's "JFK Myths 15" an expanding series dedicated to the examination of claims and evidence related to the assassination of President Kennedy. This latest episode concerns the allegation related to Malcolm Wallace, Beverly Oliver, and Richard Case Nagell. Evidence and assessment is provided by Professor Joan Mellen, author Carmine Savastano, with researchers Fred James and Steve Roe.